UPDATED: Tue., June 12, 2018, 5:24 p.m. In a report published Tuesday in PLOS Medicine, researchers from several Texas academic centers tracked the increasing number of children with exemptions in all 18 states from the 2009-2010 to 2016-17 school years. They characterized many rural counties, as well as urban areas, as “hotspots” because their high exemption rate puts them at risk for epidemics of measles, whooping cough and other pediatric infectious diseases. Idaho has eight of the top 10 counties with the highest exemption rates, the study found. 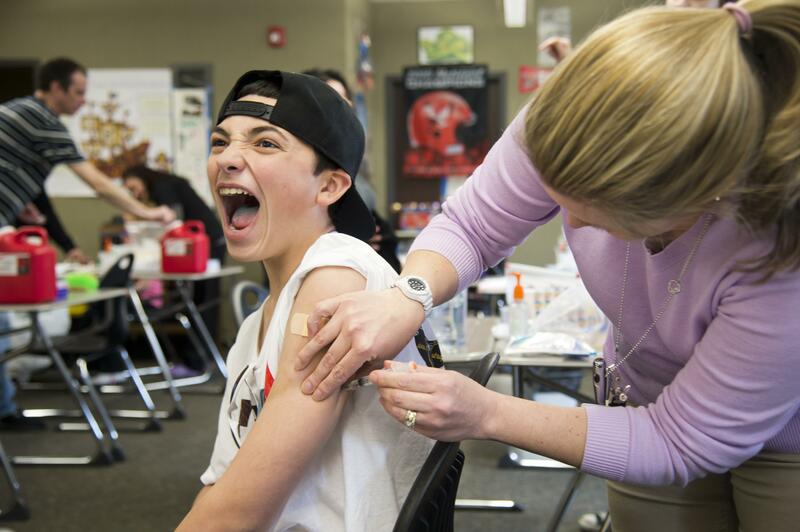 In Camas County in southern Idaho, nearly 27 percent of the kindergarten population opted out of childhood vaccinations in the 2016-17 school year, according to the study. But researchers also ranked urban areas. Among counties where more than 400 kindergartners received nonmedical exemptions in 2016-17, the 15 metropolitan locations with the most exemptions were Seattle and Spokane in Washington; Portland, Oregon; Phoenix; Salt Lake City and Provo, Utah; Houston, Fort Worth, Austin and Plano, Texas; Detroit, Troy and Warren, Michigan; Kansas City, Missouri; and Pittsburgh. The analysis also shows a direct correlation between exemption rates and vaccination rates for the measles, mumps, rubella (MMR) vaccine and suggests other issues, such as access, are less of a factor in influencing vaccine coverage, according to Omer. Overall, the study found that states with more nonmedical exemptions had lower MMR vaccination rates. In contrast, the three states that have banned nonmedical exemptions – Mississippi, California and West Virginia – show the highest MMR vaccine uptake and lowest incidence of vaccine-preventable diseases. A child with a nonmedical exemption from the MMR vaccine is 35 times more likely to contract the disease than a vaccinated child, studies have shown. A 2016 study found a neurological disorder that is a complication of measles, killing children years after they have been infected, is more common than previously thought. The disorder lies dormant for years and then is 100 percent fatal. Researchers don’t know what causes the virus to reactivate, and there is no cure once it does. The first MMR dose is typically administered at 12 to 15 months of age. Babies may be vaccinated at six months or older if they are at risk of exposure to measles – for instance, if they are traveling to an area with an outbreak. Published: June 12, 2018, 2:35 p.m. Updated: June 12, 2018, 5:24 p.m.